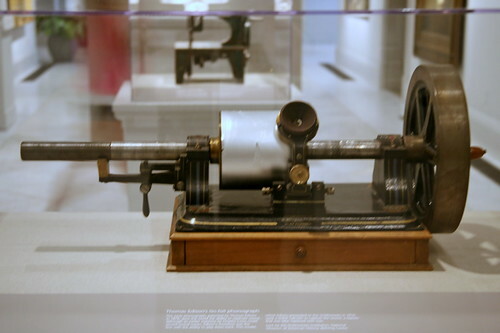 This early phonograph, patented by Thomas Edison in 1878, gave the world the ability to replicate sound. Although an earlier machine by Charles Cross could record sound waves, Edison's invention was the first with the ability to play them back. This model,, which Edison presented to the Smithsonian in 1916, used a tinfoil cylinder to capture the sound, a feature that was later replaced with wax.